Today I have an assortment of products on sale, some full page templates, some more clustered templates, and a calendar/monthly review set. Enjoy the 50% SOSN discount on these products today only, January 18, 2017. 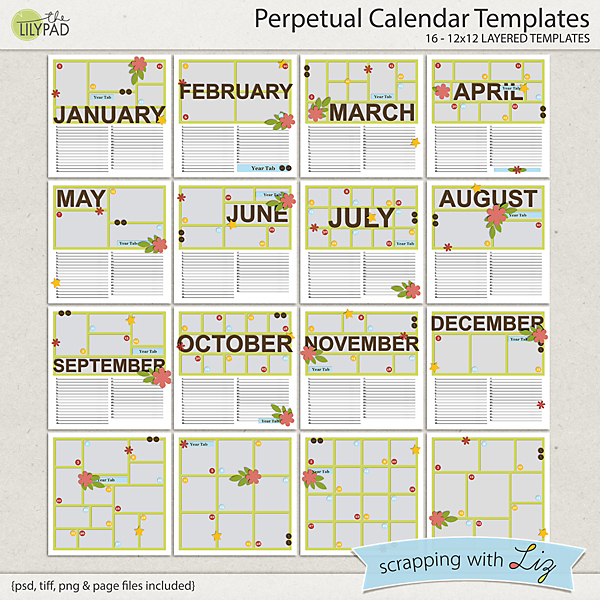 Perpetual Calendar Templates is a unique set, GREAT for scrapping monthly summaries. 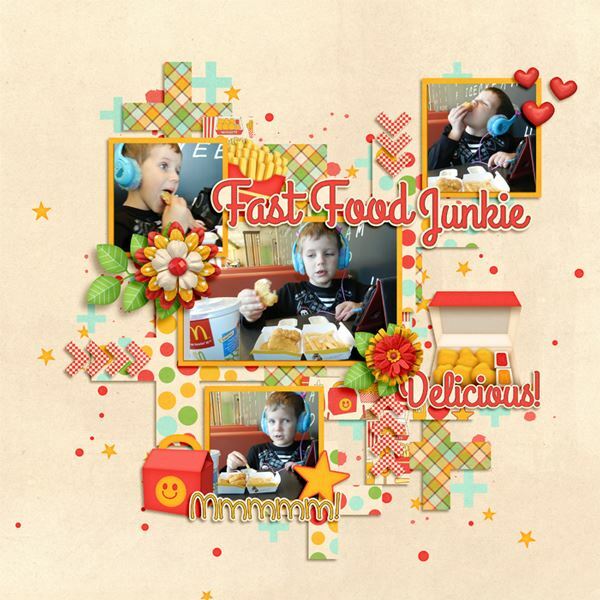 There are twelve monthly pages split between photos and daily journal lines. There are also four full page blocked photo grids, for making a 2-page template with LOTS of photos. The numbered journal lines can be used for list journaling if you are scrapping an event instead of a monthly summary. 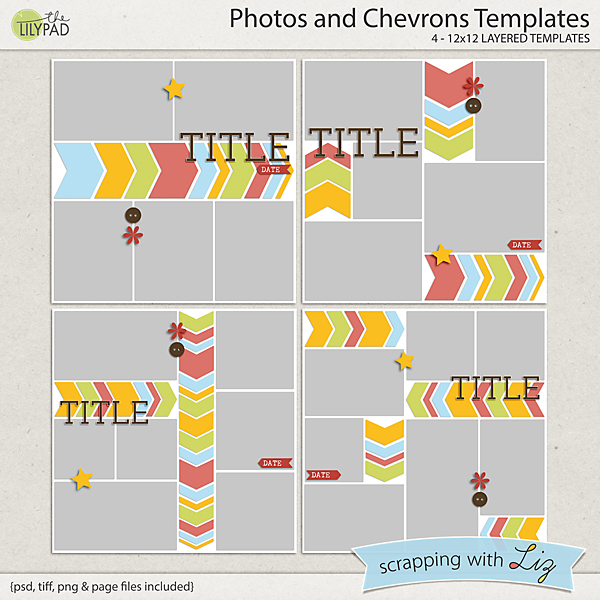 Photos and Chevrons Templates are filled with nice big photos and some fun paper play with chevron shapes. 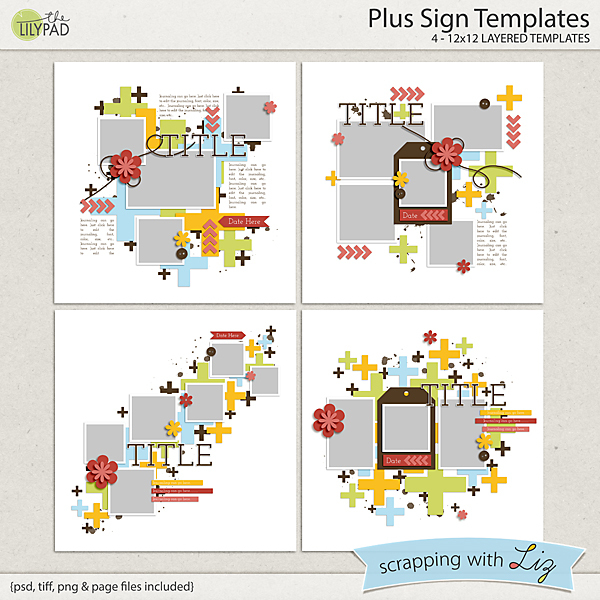 Plus Sign Templates is another set with some fun paper play, this time with plus signs. 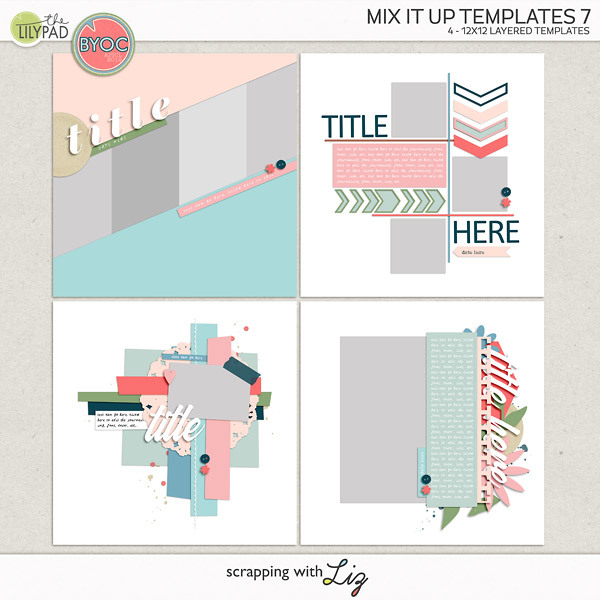 Great for scrapping math pages, money pages, or just for some unique play with paper shapes. 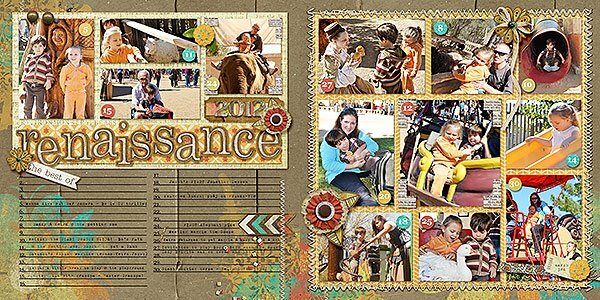 Here is a 2-pager Kimberley made with Perpetual Calendar Templates. 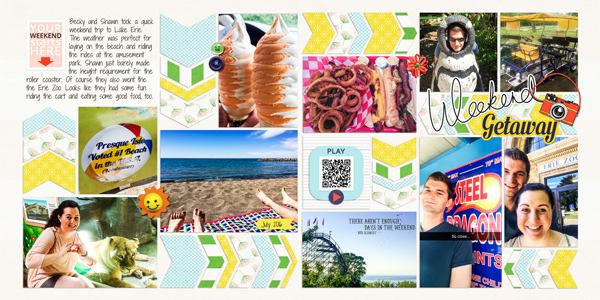 Here is a 2-pager Donna made with Photos and Chevrons Templates. 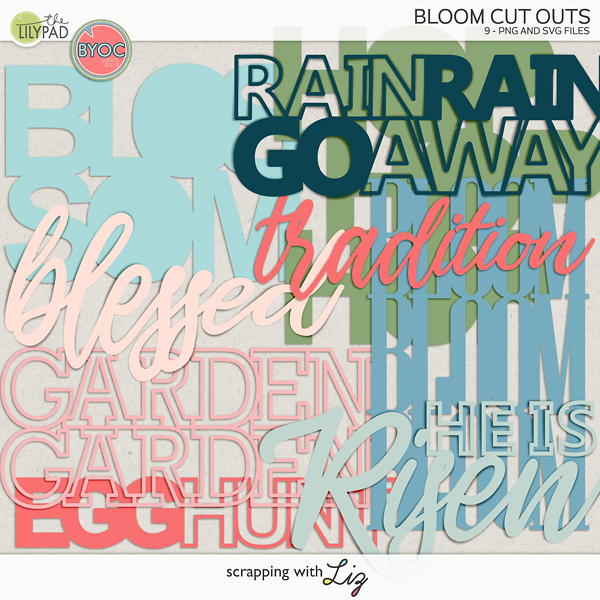 And here is a few pages made with Plus Sign Templates.